↑ 1,01,11,2 Canemaker 2005, p. 165. ↑ 3,03,1 Hoffer, Tom W. (1976). 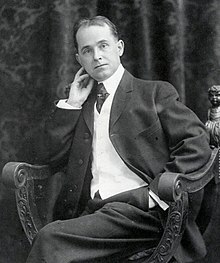 "From Comic Strips to Animation: Some Perspective on Winsor McCay". Journal of the University Film Association (University of Illinois Press / University Film & Video Association) 28 (2): 23–32. JSTOR 20687319. ↑ 4,04,1 Berenbaum, May R. (2009). The Earwig's Tail: A Modern Bestiary of Multi-Legged Legends. Harvard University Press. p. 138. ISBN 978-0-674-03540-9. ↑ 7,07,17,2 Rayner, Jonathan; Harper, Graham (2014). Film Landscapes: Cinema, Environment and Visual Culture. Cambridge Scholars Publishing. p. 184. ISBN 978-1-4438-6631-6. ↑ 9,09,1 Pike, Deidre M. (2012). Enviro-Toons: Green Themes in Animated Cinema and Television. McFarland. p. 30. ISBN 978-0-7864-9002-8. ↑ 12,012,112,212,312,412,512,612,7 Canemaker 2005, p. 167. ↑ 13,013,113,2 Dixon, Bryony (2011). 100 Silent Films. Palgrave Macmillan. p. 101. ISBN 978-1-84457-569-5. ↑ 14,014,114,214,3 Eagan, Daniel (2010). America's Film Legacy: The Authoritative Guide To The Landmark Movies In The National Film Registry. Continuum International Publishing Group. p. 33. ISBN 978-0-8264-2977-3. ↑ 28,028,128,228,3 Canemaker 2005, p. 157. ↑ 30,030,1 Wood 2012, pp. 23–24. ↑ 31,031,131,231,331,4 Canemaker 2005, p. 164. ↑ 34,034,134,2 Furniss, Maureen (2009). Animation: Art and Industry. John Libbey Publishing. p. 99. ISBN 978-0-86196-904-3. ↑ 35,035,1 Bendazzi, Giannalberto (1994). Cartoons: One Hundred Years of Cinema Animation. Indiana University Press. p. 16. ISBN 978-0-253-31168-9. ↑ 39,039,1 Webster, Chris (2012). Action Analysis for Animators. Focal Press. p. 11. ISBN 978-0-240-81218-2. ↑ 40,040,140,240,3 Canemaker 2005, pp. 167–168. ↑ 41,041,1 Mosley, Leonard (1985). Disney's World: A Biography. Rowman & Littlefield. p. 62. ISBN 978-0-8128-3073-6.